The annoying paperclip in Office and the silly dog in the Windows Search facility are available programmatically via a COM component. This is a little demo of how to use it from a .NET 2 WinForms app. 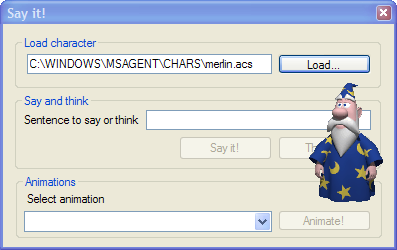 You'll probably need to add a reference to the agentctl.dll COM component to build it, which will probably be in C:\WINDOWS\msagent.